Sometimes we put up with the most inconvenient of processes, never realising there is a quicker and easier way of doing things. For example, have you ever exchanged emails with a new prospect before finally arranging a meeting, but then struggled for ages to get all of the information out of that email chain into an Outlook diary event? 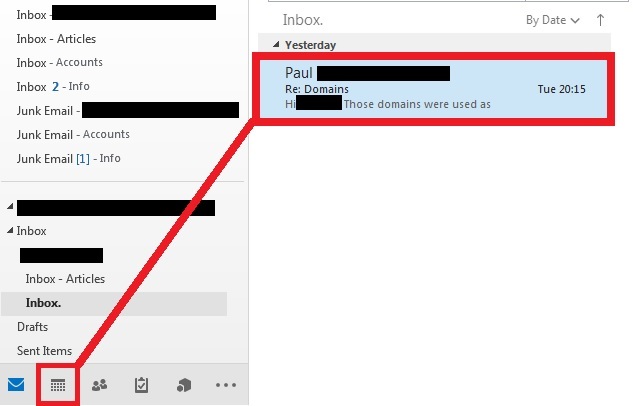 You want to copy and paste all the details of your conversation – along with your prospect’s email address and the office location where the meeting will take place – but this means minimising your email message, opening up your Outlook calendar and then flicking between these two windows several times whilst copying and pasting all the relevant information. So here is the hack. First, click on the email message you wish to associate with an appointment/event. Then hold down the left mouse button and drag that message to the Calendar icon in the lower left-hand corner of the email client. 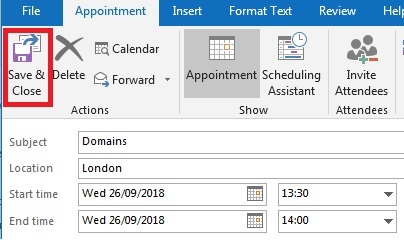 Once you have the mouse hovered over Calendar, release the left mouse button and configure the appointment window with date, time, and location etc. The following screen shots show visual instructions on how to complete this three-step process. NB. Any attachments from the original email message will not transfer across to the diary event but they can always be reattached. We’re sure you will agree this tip is still a great time saver.